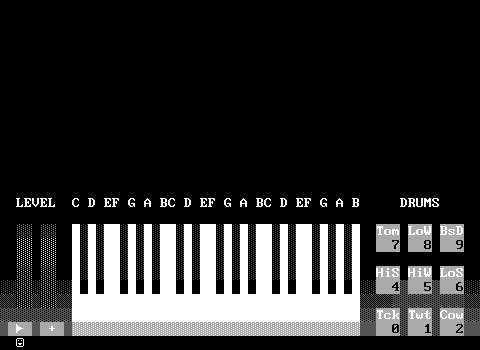 Keyboard is a 64K intro using the ZZT engine that runs of MS-DOS PC or DOSBox and was released in 2018 by Nanoco. Keyboard features all 72 keys, 9 drum pads, visualization, level meter and a sample playlist that supports up to 64K of music in a single board! The total world and executable size is 65,536 bytes.